As a member of one of our Wine Clubs you will have the benefit of receiving 15% off single bottle and 25% off of case purchases throughout the year. Members receive either three shipments per year totaling 12 bottles or six shipments per year totaling 24 bottles that are selected by us. 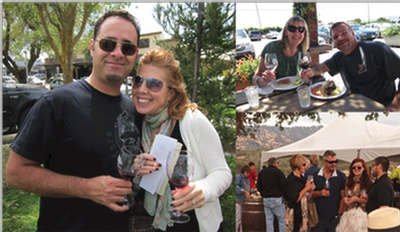 Wine club members are also among the first to be offered new release wines and receive complimentary admittance to select winery events (Variety Nights & Wine Club Appreciation Day). Our Wine Club Members also receive a 50% discount to rent our facility for private parties. Don't forget about our Matching Gifts program! 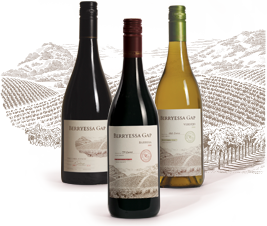 As a member of our Traditions Club you will receive twelve bottles of Berryessa Gap wine (whites and reds) each year -three shipments of four bottles. 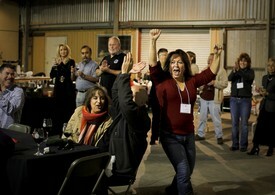 Red Traditions club members receive two cases of Berryessa Gap wine (all red) each year -6 shipments of four bottles. Members also recieve a complimentary glass of wine each month at our tasting rooms.